SIPRI released the final film in its short-film series 2016—A Year of Reflection. The film focuses on the importance of SIPRI as an independent international Institute. It features a range of different speakers from both within and outside of SIPRI, highlighting the key elements of the Institute and outlining a path ahead for the future. Watch the final film or see the whole series thus far on SIPRI's YouTube channel. SIPRI’s Arms Production Project released new data on the international arms industry last week. It reported that sales of the SIPRI Top 100 arms-producing companies totalled $370.7 billion in 2015—a decrease of 0.6 per cent compared with 2014. It marked the fifth consecutive year of decline. Read the press release, Fact Sheet or see more about the Arms Production Project on the SIPRI website. In November 2016, Mali held its first local elections after the 2012 crisis and 2015 peace agreement. Given the strong role of local authorities in the peace agreement, the election results are of considerable importance. The elections did not occur without incident, however, and several Monitoring Groups, set up as part of the current SIPRI–CONASCIPAL project in Mali, reported violence and intimidation tactics in their local regions. The summary of SIPRI Yearbook 2016 is now available to download from the SIPRI website in multiple languages. It summarizes the contents of SIPRI Yearbook 2016 and gives samples of the data and analysis that it contains. Download the summary (pdf) in Catalan, Dutch, English, French, German, Italian, Spanish and Swedish. Climate change implications for security: What options for policy? Given the likelihood if its profound impact, climate change is increasingly being viewed as a source of security risks. What are these exactly and what instruments are there for policy to address those risks? SIPRI will launch the new report 'Climate-related Security Risks: Towards an Integrated Approach' at the Ministry for Foreign Affairs where HE Isabella Lövin, Minister for International Development Cooperation and Climate, and Deputy Prime Minister, will give a key address. See the SIPRI website for registration instructions. In the midst of the upheaval that events in 2016 have brought, looking ahead, what are the big issues that generate sources of insecurity? Is there a new cold war? What are the particular regions of insecurity? Major General Mitch Mitchell, Director of the Development, Concepts and Doctrine Centre (DCDC), the British Ministry of Defence’s independent think tank, visited SIPRI to discuss challenges to peacebuilding today and in future. Contact SIPRI Director of Communications Stephanie Blenckner for more information. Fifteen years have passed since the international community’s intervention in Afghanistan in 2001. Since the drawdown of international forces, Afghanistan has not been able to secure peace and stability. SIPRI welcomed a panel of experts, including HE Hekmat Karzai, Deputy Minister of Foreign Affairs of Afghanistan, HE Anders Sjöberg, Swedish Ambassador to Afghanistan, and Pernille Dahler Kardel, Deputy Special Representative for the United Nations Assistance Mission in Afghanistan (UNAMA) to discuss the state of the domestic and foreign dynamics shaping Afghanistan’s prospects for achieving peace and stability. Watch a video of the event or contact SIPRI Researcher Richard Ghiasy for more information. SIPRI Director Dan Smith and SIPRI Senior Researcher Malin Mobjörk participated in this year's Planetary Security Initiative. SIPRI organized the working group on governance and policy, where experts shared knowledge and experience of translating climate security policy into practice, through both mainstreaming and integrative approaches. Dan Smith also moderated the conference's closing plenary session. SIPRI Research Assistant Alfredo Malaret participated in the event 'Caribbean encounter on forensic ballistics' where he demonstrated the online database Mapping ATT-relevant Cooperation and Assistance Activities. Overall, the conference focused on a range of issues, including public security in the Caribbean, the role of forensic ballistics in strengthening the rule of law, firearms tracing, firearms evidence management, information-sharing networks, and illicit trafficking and border control challenges faced by Caribbean states. Visit the SIPRI website or contact SIPRI Research Assistant Alfredo Malaret for more information. SIPRI and the United Nations Development Programme Oslo Governance Centre brought together representatives of the policy, academic and practitioner communities to assess the state of knowledge on effectiveness in peacebuilding interventions designed to address violent extremism. The event focused on four sub-issues: overcoming methodological obstacles to measuring the absence of extremist violence, demonstrating causality in complex environments, scaling and replicating successful interventions, and the definitional ambiguity of 'preventing violent extremism'. Participant expertise included political violence, Islamist terrorism, violent social movements, radicalization, conflict prevention, governance and peacebuilding. Watch a video of the discussion or contact SIPRI Programme Director Gary Milante or SIPRI Programme Coordinator Kate Sullivan for more information. SIPRI is recruiting an in-house editor to join its publications and communications team. See the job announcement for details about the role and application process. >>SIPRI's new data on the arms industry was covered in more than 1300 global media outlets. Please contact Stephanie Blenckner for a detailed report. 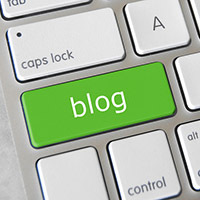 >>The blog post on impact evaluations in fragile states by SIPRI's Anastasia Aladysheva, Gulzhan Asylbek kyzy and Winnie Leung was republished by ReliefWeb. >>SIPRI's backdated data on global military spending has been reported on by various outlets, including IrinNews. >>SIPRI's Robert Kelley discussed the Iran Nuclear Deal with The Real News. SIPRI issued the fact sheet: The SIPRI Top 100 arms-producing and military services companies, 2015 by Aude Fleurant, Sam Perlo-Freeman, Pieter D. Wezeman, Siemon T. Wezeman and Noel Kelly. This Fact Sheet lists the SIPRI Top 100 arms-producing and military services companies for 2015 and describes the trends in international arms sales that are revealed by the new data. The SIPRI Arms Industry Database was created in 1989. It contains financial and employment data on arms producing companies worldwide. Since 1990, SIPRI has published data on the arms sales and employment of the 100 largest of these arms-producing companies (the SIPRI Top 100) in the SIPRI Yearbook. 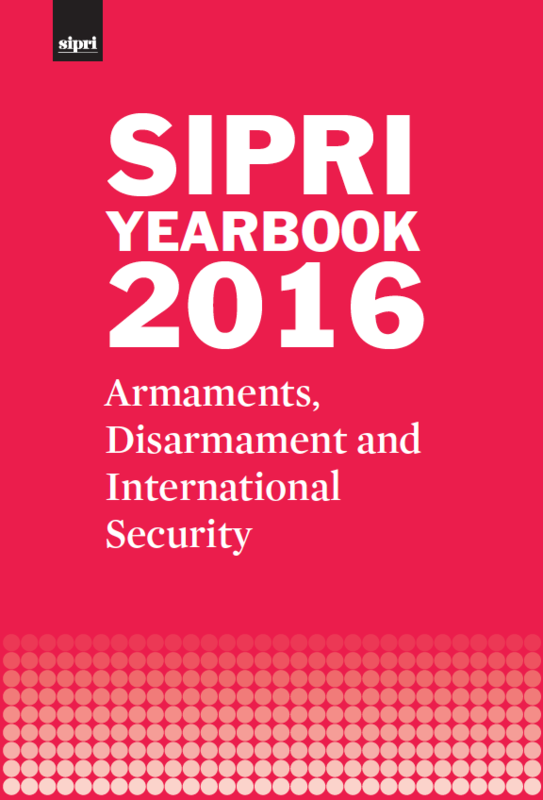 Download a summary (pdf) of SIPRI Yearbook 2016.